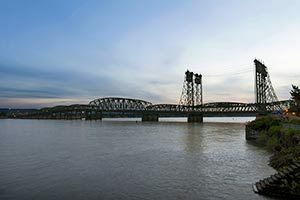 Located along the northern bank of the majestic Columbia River, Vancouver is the county seat of Washington State’s Clark County. Established just before the advent of the Civil War, Vancouver is the fourth-largest city in the state of Washington, with a population just under 162,000 as of the 2010 census. Vancouver and Portland combine to form part of America’s 23rd-largest metro area, the Portland-Vancouver metropolitan area. Notable employers in Vancouver, Washington include Kaiser Permanente, PeaceHealth Southwest Medical Center, BNSF Railway, Evergreen Public Schools, The Vancouver Clinic, Clark County, the City of Vancouver, Fred Meyer and Clark College. Vancouver Public Schools include Hudson’s Bay High School, Vancouver iTech Preparatory, Columbia River High School, Vancouver School of Arts and Academics, Fort Vancouver High School, Skyview High School and Lewis and Clark High School. Vancouver’s sister city is Joyo (Japan). Notable residents include Jason V. Brock, Frances Yeend, Alina Cho, Jeffrey C. Wynn, Tina Ellertson, Tamina Snuka, Ulysses S. Grant, Lon Simmons, Seth Aaron Henderson, Greg Peach, Ron Larson, Chuck Palahniuk, Randy Myers and William F. Nolan. John L. Davis PLLC helps Vancouver residents with family, business, and real estate law matters, as well as litigation. As a former prosecutor and realtor, Mr. Davis brings a wide range of professional experience to his private practice. We seek to serve our clients in a holistic manner that hits all their major points of contention. Call (360) 597-4740 today to learn more about how John can help you move forward.